Are you looking for a holiday destination that is more than R & R? Do you want adventure, excitement, and a little bit of the unknown? Then visit Tanzania – the country of game parks, safaris and the legendary Mount Kilimanjaro. Tanzania has some of Africa’s highest and lowest points – Mount Kilimanjaro, at 5,895 metres above sea level, and the Lake Tanganyika floor, at 352 metres below sea level. The weather here is equally diverse and dramatic, from hot and humid on the coasts to dry and cold in the snow-capped Kilimanjaro. Fittingly, the region has some of the most diverse habitats and wildlife. With safari adventures of every type you can think of, Tanzania is truly a wildlife spotting paradise. Climate varies greatly across Tanzania. The best time for wildlife viewing is January – February, when animals congregate around waterholes in the middle of the dry season. Although it is likely to be very hot, witnessing the natural spectacle of the Serengeti migration will more than make up for the heat. For those who cannot bear the heat, June – August is another good time for a Tanzania visit. Days are more bearable and the nights quite cool, with temperatures below freezing in the Ngorongoro Highlands and Mount Kilimanjaro. Rainy seasons (October-December, February-May) can be hit or mess, as roads can be harder to navigate, and the coastal regions hot and humid. Casual comfortable clothes in light colors and natural fabrics work best, although it is advisable to carry jackets and scarves for early morning game drives and late night outings. Tanzania is a country steeped in tribal ethos and a rich history. It offers you myriad attractions beyond safaris. So make time for some of these attractions, to enrich your Tanzania experience. With a prestigious tally of seven UNESCO world heritage sites, Tanzania is truly a land of natural wonders. The jewel in the crown is the Ngorongoro crater – a deep, volcanic crater 20kms across and 600 meters deep. As the largest un-flooded and unbroken caldera in the world, it is a breathtaking natural wonder, sporting the one of the highest densities of wildlife in Africa. The crater floor has a unique biome and diverse habitats, including a soda lake. 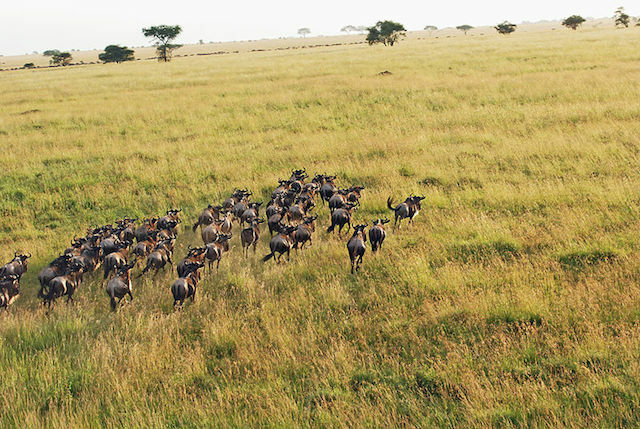 The Serengeti National Park has one of the oldest ecosystems in the world. Is it any wonder that the site’s natural beauty continues to inspire writers and movie-makers alike? When you think of Africa, you conjure up visions of wildlife. Tanzania doesn’t disappoint. Known equally for its sheer numbers and variety of fauna, Tanzania abounds with predators, wild animals and bird life. With over 60,000 insect species, 100 varieties of snakes and over 1,000 species of birds, Tanzania has plenty to look at. If you haven’t had a chance to visit an ethnographic museum, Tanzania is the place to do it. The National Museum at Dar es Salaam, and the National History Museum of Arusha are must-visits for glimpses into an old culture. The Kondoa Rock Art Sites are natural rock shelters with an extensive display of millennia-old rock paintings by ancient hunters and pastoralists. Home to 125 ethnic groups, and more than 100 different languages, Tanzania is truly a culturally diverse country. Get up-close with the tribes at a festival. Plan your trip around the Mwakakongwa and Serengeti Festivals, or the Karibu Fair, for an immersive Tanzania experience. Contemporary local music is the hip hop styled bongo flava. Try to fit in a musical evening during your stay in Tanzania. There is so much to do in Tanzania that a week wouldn’t do it justice. 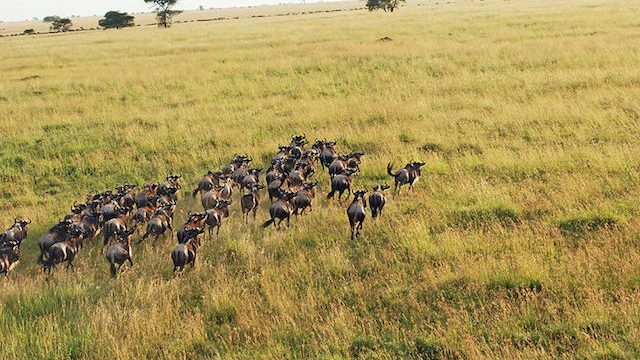 Tanzania offers the most diverse and innovative of safari experiences you can think of. While you may have experienced camping in the wilderness, Tanzania offers you a richer camping experience, with budget, luxury and fly-camping on-the-go. Discover the wild side of Tanzania with an adventure safari, tailor-made to your travel preferences, and the wildlife season. Chase wildlife on vehicles, or experience the bush the nomadic way with a customized walking safari. If you want more adventure, opt for a night game drive to get up-close with wildlife activity in the dead of the night. Or take a morning balloon safari for a bird’s eye view of the magnificent landscape and wildlife below. A birding enthusiast? Get yourself an expert birding safari guide and visit the popular bird-watching sites. If you are a naturalist or wildlife photographer, book a themed photography safari to capture epic wildlife events like the Great Serengeti Migration or predators in action, from key vantage points and remote mobile camps. River boating safaris and canoeing excursions make a welcome break from the all-day confines of a traditional vehicle safari. You can float past sleeping crocodiles and sunning hippos to experience the sights and sounds of the waterway habitat up-close and unhindered. A Tanzanian cycling safari is another fun way to combine incredible scenery with wildlife spotting. Are you an expert horse rider, looking to experience wildlife in an adventurous way? Avail of the week-long horse riding safaris to experience Africa’s bush and wildlife on a horse. View wildlife on the move, galloping or sauntering through the lush habitats. For another novel and equally immersive safari, book the Mkuru camel safari for a fascinating adventure in Northern Tanzania. Tanzania offers world-class reefs and abundant schools of tropical fish at various sites off popular beaches and secluded locations. For those who love fishing, there are many options and sites, from freshwater lakes and streams, to deep sea specialized fishing excursions. Pick up African curios at the markets and curio shops spread across the cities or the stalls near parks and reserves. Beaded jewellery, decorative blankets, tribal sarongs, wooden carvings, spices (Zanzibar), Tingatinga paintings and the Tanzanian semi-precious stone “tanzanite,” make for great souvenirs. Tanzania has a wide range of traditional food. When the cuisine is not dominated by plantains, you can expect the Indian influence. The delicious Makubi is a recipe for chilly nights. Local dishes include ugali, nyama choma, mchemsho, mshikaki, ndizi-nyama, the plantain-based supu ya ndizi and the rice-based pilau or biryani. The adventurous may like to sample local drinks like the banana beer and the mango-orange concoction.